When I first began my career as a comprehensive financial advisor, I was shocked at the mental blocks many people have about various tools and parts of the planning process—including the stock market, bonds, working with an attorney or accountant...and insurance. My objective for this post is not to sell insurance or define a process for choosing insurance. Rather, I want to address the emotional roadblocks some people have regarding this topic. These roadblocks sometimes keep people from using a valuable tool to protect their family or business. 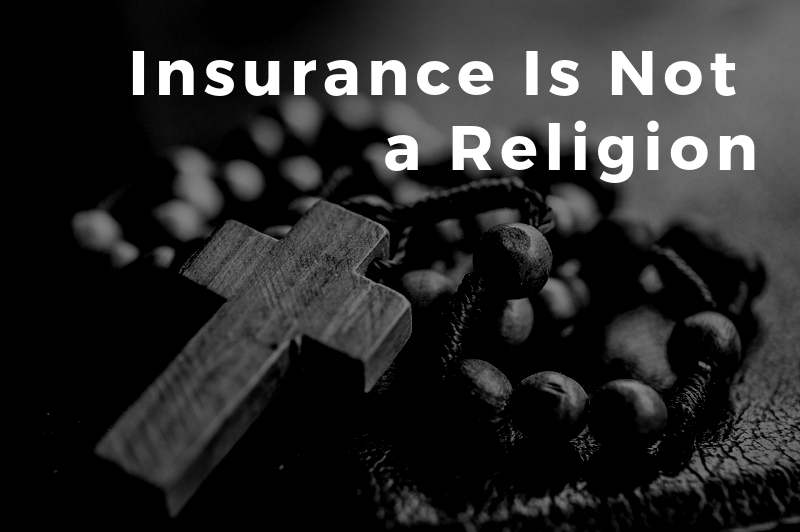 Many times I’ve heard the response: “I don’t believe in insurance.” Over the years I have come to understand where it comes from. Many people who say this have insurance for their house, car, and all kinds of other “things.” Yet they have a roadblock against buying insurance for their lives or their income. This type of roadblock is what I call a Money Shadow. It could come from fears about your mortality, something your family or friends told you about insurance, or negative experiences with it in the past. It’s a shame that an unconscious or unresolved issue about something keeps some people from taking important steps to protect their families. Trust is a huge part of this. If you don’t trust your advisor, you aren’t going to take his or her advice. Make sure you aren’t limiting your options due to a relationship that is not ideal. It’s true that insurance can be overused. However, it is also a tool that can be very useful. If you have objectives for yourself, your family, or your business that will not be met if you die or become ill or incapacitated, life insurance can provide liquidity to fill the void of that loss. Insurance is tool to help protect against a loss. It's a way to pool risks. It’s not a religion that you either “believe in” or don’t. When you lay out your objectives, it is like an algebra equation. If you have an objective to provide $X, either you do or do not have enough money to provide that. If you don’t, you either need to change the objective or fill the void. The same is true for any part of a financial plan. If you want to retire and live on a certain amount of money, you use a calculator and equations to solve to see if that works. If it doesn’t, you either need to work longer, save more, live on less, get higher return, or some combination of those things. For related info, check out my post: When Calculating Financial Independence, Focus on Outcome Not Amount. If you have questions or want to chat, contact me online or email Carlo@IntegralWealth.net. The opinions voiced in this material are for general information only and are not intended to provide specific advice or recommendations for any individual. Guarantees are based on the claims paying ability of the issuing company.